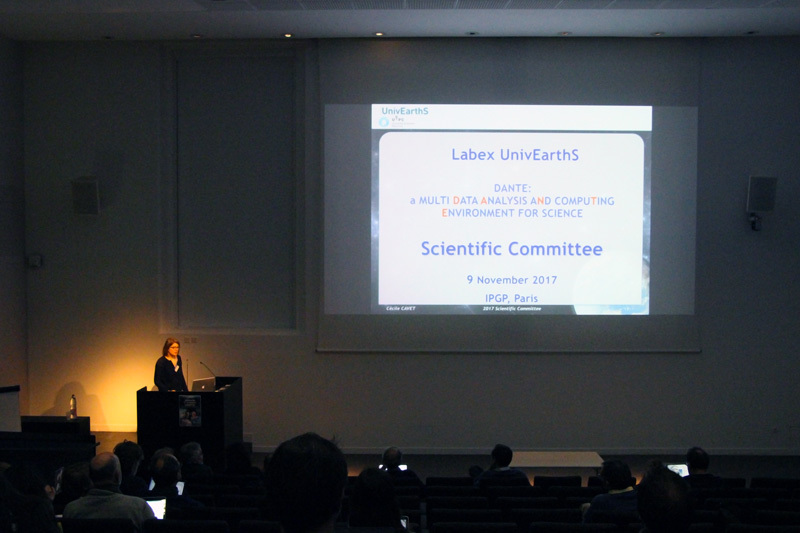 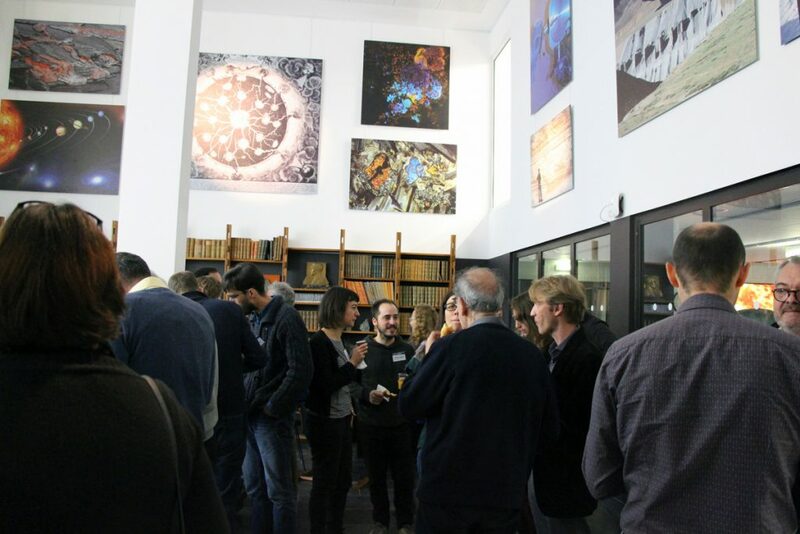 The Labex UnivEarthS was pleased to invite the community to its seventh scientific council which took place on 9 and 10 November 2017 in Paris. 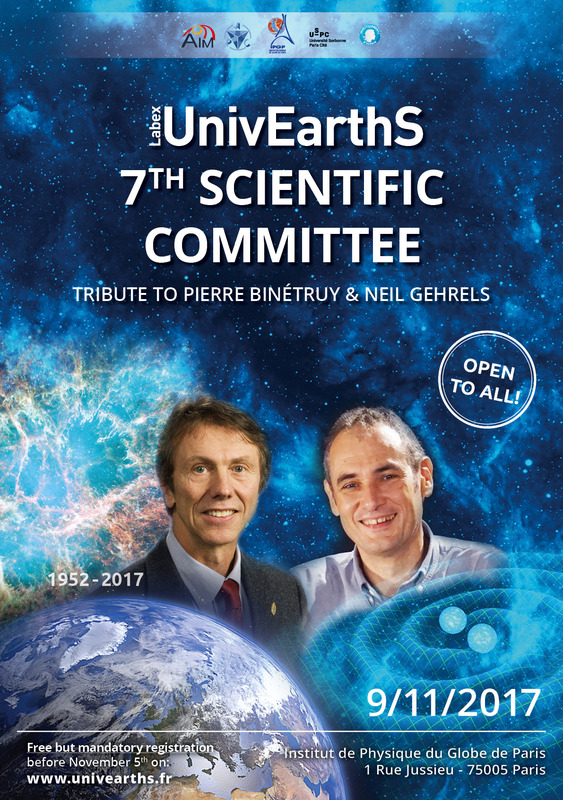 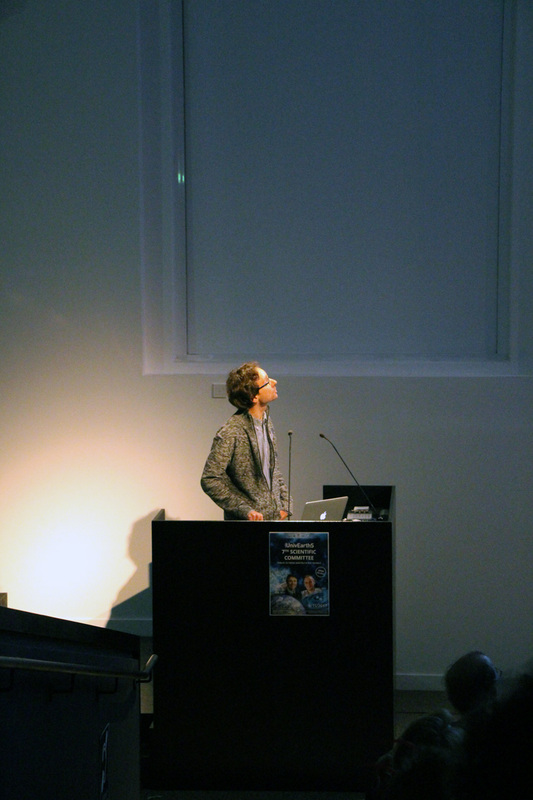 Thursday, November 9th was a day of tribute to the works of Pierre Binétruy and Neil Gehrels, who unfortunately left us this year. 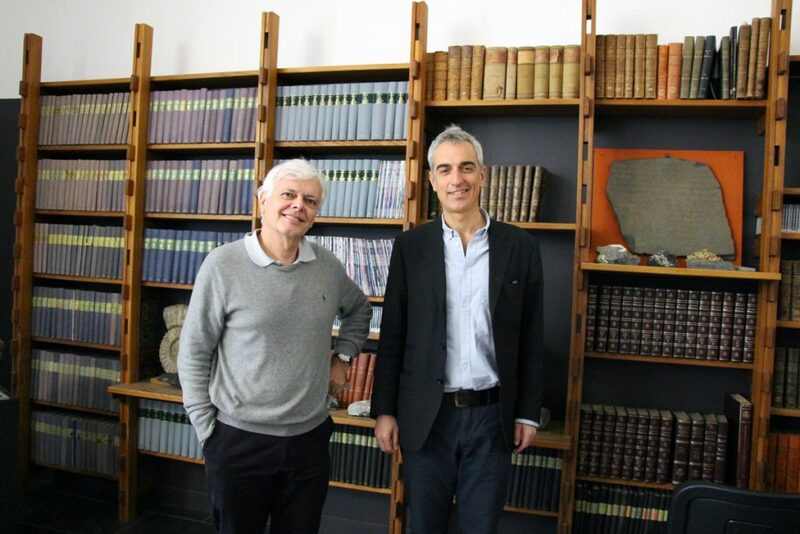 These two great scientists have left behind an extraordinary legacy, which we wish to highlight and make fruitful within UnivEarthS. Friday, November 10 was devoted to a closed session, where the members of the scientific committee discussed the progress of UnivEarthS projects. 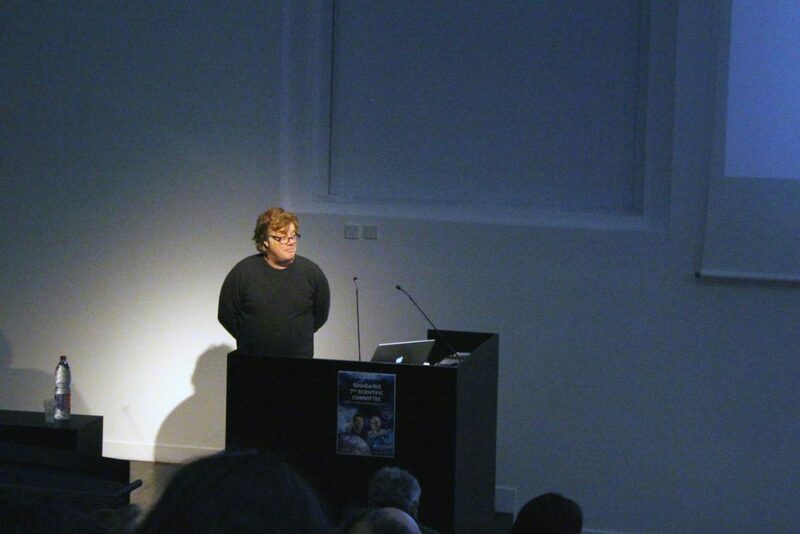 This session were not open to the public. 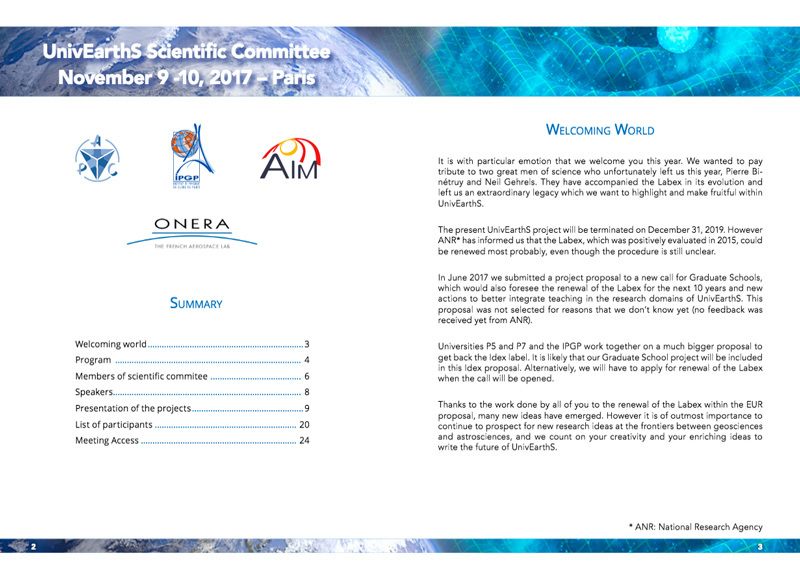 The first day of the Scientific Council was open to all, with a registration free but mandatory before 05 November 2017. 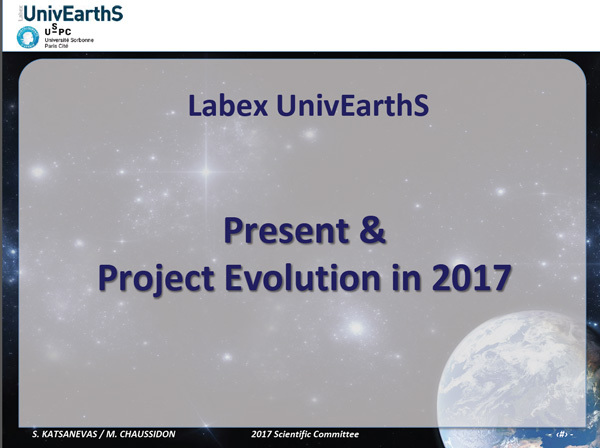 You will find here the presentation of Labex UnivEarthS. Marc Chaussidon, director of IPGP and of Labex UnivEarthS, and Stavros Katsanevas, director of the APC laboratory and co-director of Labex UnivEarthS, presented the progress and general situation of UnivEarthS over the year and the outlook for 2018. 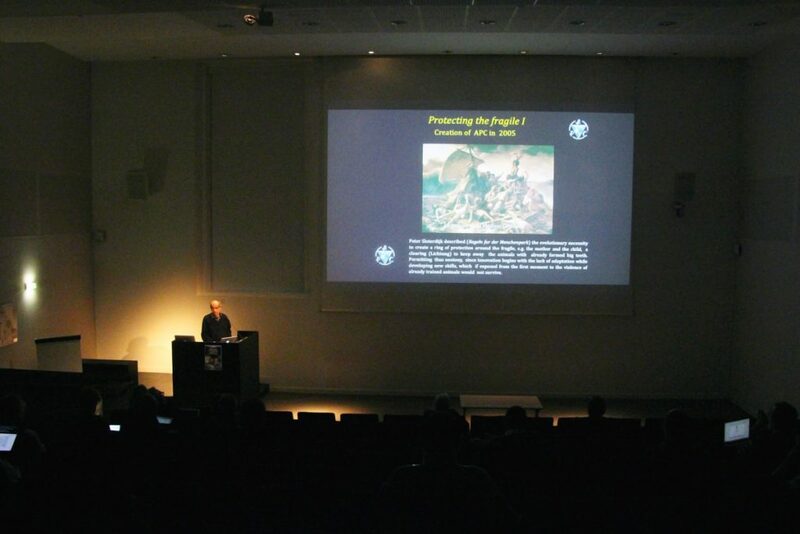 Click on the picture to access to the document. 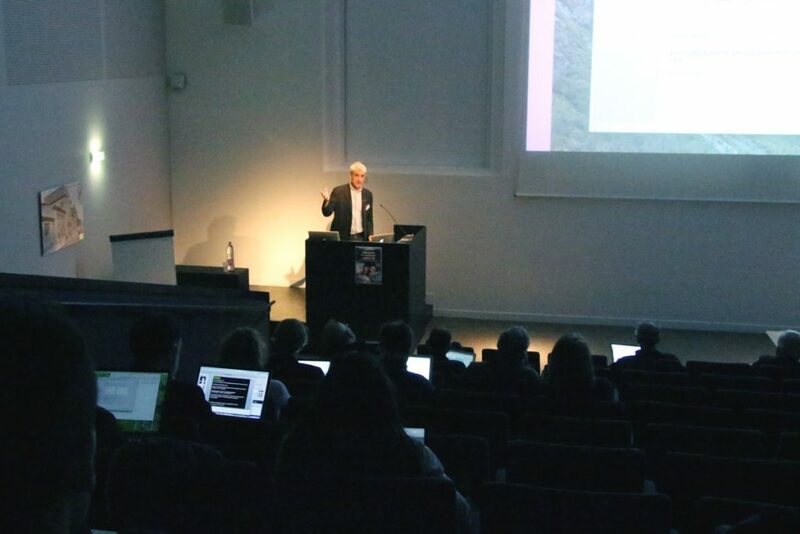 To access to all the project presentations of the work package leaders, you have to connect to the website or to ask a registration > Visit the page of the 2017 presentations. 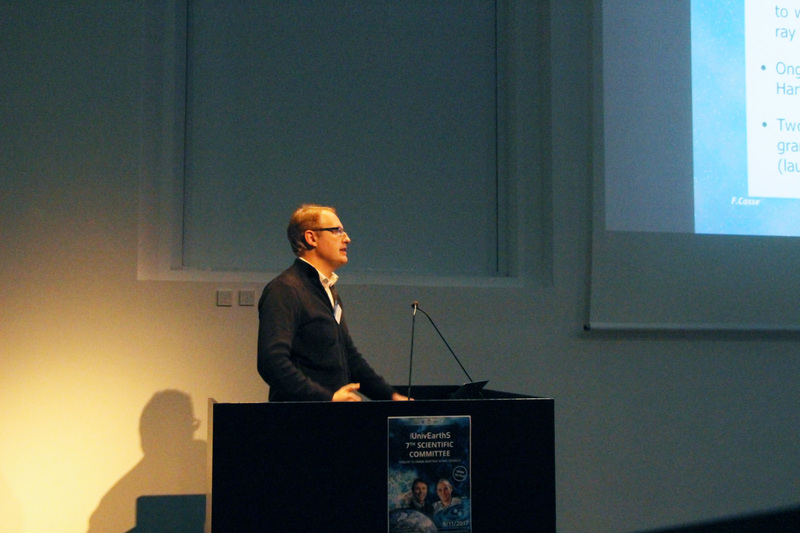 Download the event booklet with program & abstracts. 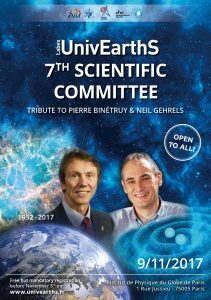 Read UnivEarthS SC 2017 Abstracts of actual projects (PDF). 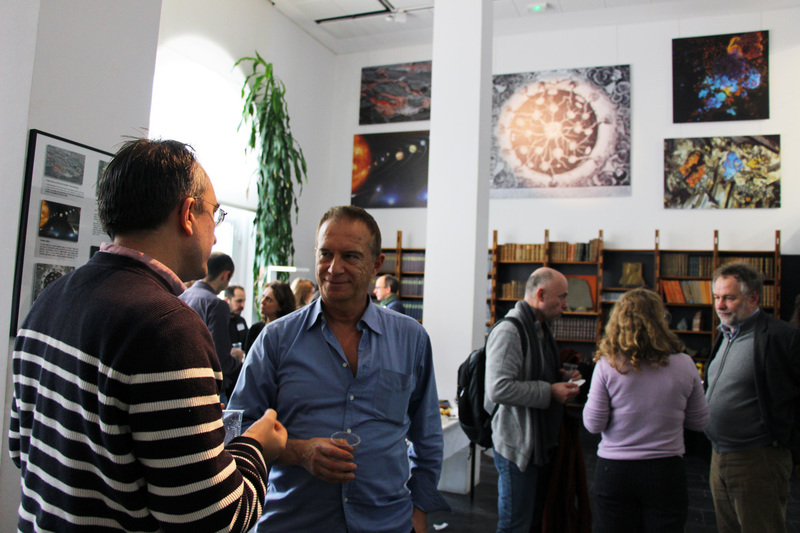 The scientific committee takes place in the amphitheater of the Institute of Physics of the Globe of Paris, 1 rue Jussieu 75005 Paris.